Based in the heart of Cambridge, CBS Automotive offer a range of security and entrainment upgrade options for your RV, motorhome, and caravans. If you own a motorhome and are based in Cambridge, St Ives, Huntingdon, or Ely then you don’t need to look any further for a professional installation. The experienced team at CBS know that your motorhome isn’t just any old vehicle and that they are your pride and joy. Therefore, we wouldn’t expect you to let ‘just anyone’ do the install. 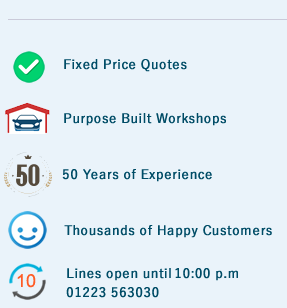 This is why we have experienced and accredited installers that are based in our purpose-built workshop in Cambridge.